What do you look for in a dream holiday? Stunning vistas? Pristine beaches and crystal clear seas? How about intoxicating local culture? Saint Lucia holidays give you all of this and so much more. 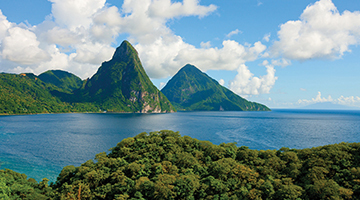 The magnificent island of Saint Lucia, only 27 miles long and 14 miles wide, has so much to offer. Whether you're looking for adventure or relaxation, family holidays or a romantic break, Saint Lucia holidays let you experience all of this and more in absolute luxury. The Island may be small but the range of activities certainly isn't! The beautiful island boasts crystal clear waters, providing some of the best snorkelling and scuba diving experiences in the Caribbean. There are a variety of ways to experience the tranquil Caribbean waters, Catamaran or boat tours are popular with tourists who would rather explore the seas from above the water. 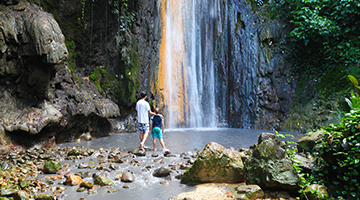 Further to the adventures found at sea, Saint Lucia provides excellent attractions on land; try visiting the Sulphur Springs, the Caribbean's only 'drive in volcano' or the beautiful Diamond Botanical Gardens. 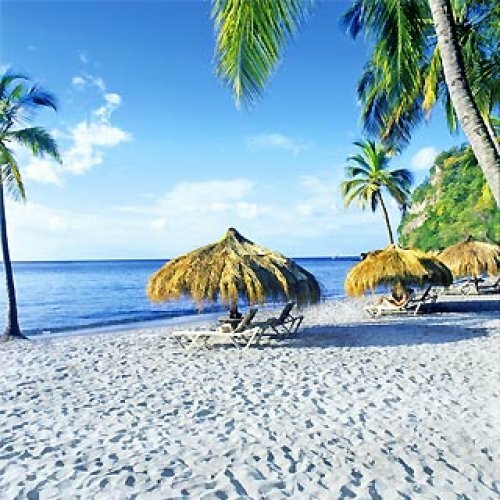 These are simply a few examples of what Saint Lucia has to offer; there's so much more, book your holiday to Saint Lucia and discover it for yourself! 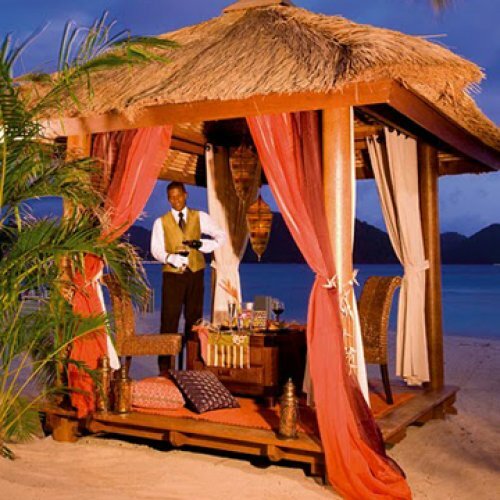 Hotels in Saint Lucia are amongst some of the best hotels in the world. Saint Lucia thrives from its tourist industry and it's easy to see why, every hotel provides a unique experience yet excellent service and fantastic facilities are consistent across all hotels in Saint Lucia. Whether you opt for total indulgence with an all inclusive hotel or a 5 star resort, Saint Lucia holidays and hotels will cater to every taste. Feeling adventurous? 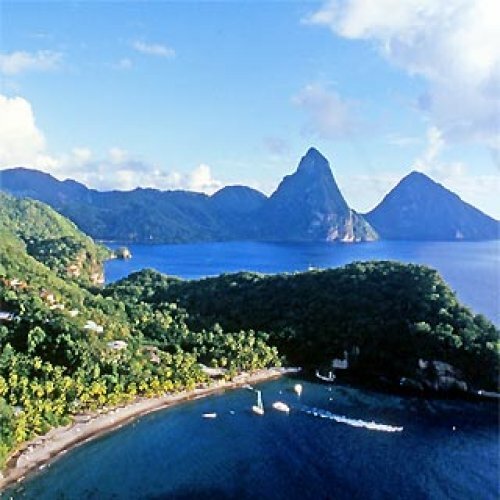 Try visiting the exciting Smuggler's Cove Saint Lucia and hop aboard the actual Black Pearl! Or, for the perfect family getaway, try Coconut Bay which provides a unique experience for the whole family. 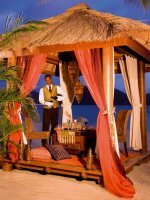 However you choose to spend your vacation, Saint Lucia holidays will let you experience it in true comfort and luxury. 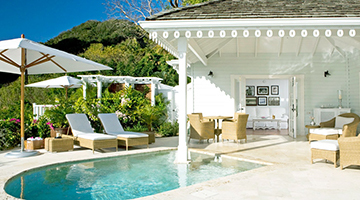 With over fifteen years of experience organising tailored luxury holidays to Saint Lucia; our travel consultants can create an unforgettable Saint Lucian getaway custom made to suit your needs. 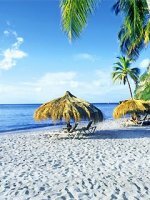 Simply fill in one of our short forms, below, and one of our Saint Lucia consultants will be delighted to offer you expert knowledge and fantastic deals. 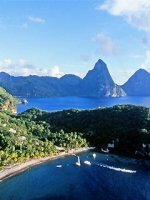 Copyright © 2001-2019 St. Lucia Holidays.net, all rights reserved.